So yes it's gonna be epic. The Elder Scrolls series have always been one of the largest and most popular video games of all time, and its definitely set to be even larger, gigantic large. Includes the entire continent of Tamriel. PVP with three player factions that can engage in "open-world warfare"
and let's take a look at their first trailer featuring a, let's just say, a really huge iron dragon. 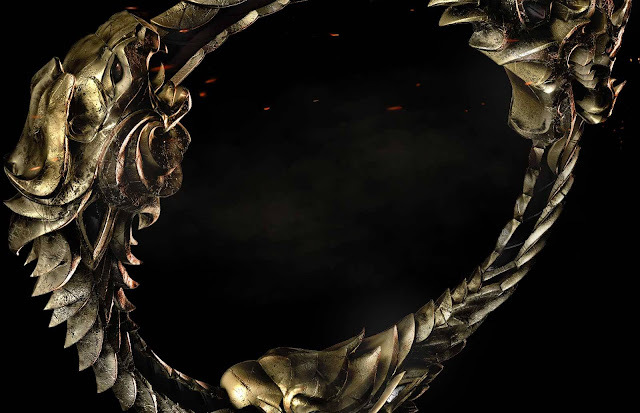 If you've been following my Skyrim Saturdays articles, you would know that Skyrim was one of most favourited games of all time (besides Dota and Assassins Creed) so without a doubt, this MMO-fication of The Elder Scrolls Online would be at the top of my "2013 Highly-Anticipated Video Games" list. I just hope that they fix those bugs and well, shoot me with all their dragons. What about you? If you are a WoW player, would you forgo it for this? *The Elder Scrolls Online releases in 2013 for the PC and Mac. Goodbye life.